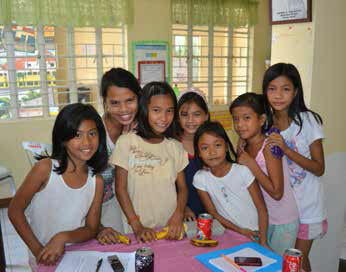 Expanding Access to Improved Sanitation for the Poor: Insights from the Philippines. International Finance Corporation, 2018. The Philippines is home to around twenty five million of the 2.3 billion people worldwide who lack access to a basic sanitation service. Poor sanitation has enormous economic and human costs. The spread of water-borne diseases, for instance, results in billions of dollars in costs to the government and poor quality of life for many citizens. IFC’s Inclusive Business team partnered with the Manila Water Foundation, which is Manila Water Company’s social responsibility arm established in 2005, to undertake a three-part study that would assess the reasons why low income urban households in the Philippines still do not have improved sanitation facilities and to test possible sanitation solutions that enable these households to improve their sanitation conditions. The study is part of IFC’s ongoing efforts to partner with the private and public sectors to promote inclusive and sustainable growth through market based solutions for the poor and underserved. The objectives of this study are to provide context for the sanitation conditions of low-income communities in the Philippines and to identify the opportunities and barriers to improving sanitation systems. Philippines: Results of an end-line evaluation of a large scale UNICEF water, sanitation and hygiene typhoon recovery programme. REACH Initiative, November 7, 2016. On the 8th November 2013, ‘Super Typhoon’ Haiyan (locally known as Yolanda) first made landfall, lashing coastal communities across the central island of the Philippines. With Tsunami-like storm surge and winds reaching up to 375 kilometres per hour, it was one of the most powerful storms in recorded history. In the direct aftermath of Typhoon Haiyan, access to safe water and sanitation was severely compromised across affected areas of the Philippines. One year after Typhoon Haiyan, REACH undertook a baseline assessment to inform the UNICEF funded Phased Approach to Total Sanitation (PhATS) programme. The programme was aligned with the National Sustainable Sanitation Plan, and aimed to end the practice of open defecation in the targeted areas through facilitating changes in social norms and fuelling demand for sanitation and hygiene; sustaining demand through supply side interventions; and promoting good governance, resilience and disaster risk reduction. The programme was implemented through a coalition of 12 NGOs (Action Against Hunger; Agency for Technical Cooperation and Development; Arche Nova, A Single Drop for Safe Water; Catholic Relief Services; International Medical Corps; Islamic Relief Worldwide; Oxfam; Plan International; Relief International; Save the Children and Samaritan’s Purse), 40 municipal government authorities, the Department of Health and the Department of Education. In February and March 2016, as the Haiyan PhATS programme was transitioning over to Government-led implementation, REACH conducted an end-line assessment to measure the changes in knowledge, attitudes and practices of the population in the targeted areas. Overall the assessment found a higher awareness of and importance given to improved practices relating to water, sanitation and hygiene (WASH) in the households and schools within the geographical areas covered by the Haiyan PhATS programme. More households were found to have their own improved sanitation facilities, and improvements in handwashing practices (reported frequency and when practised) were recorded. Increases in access to school WASH facilities and presence of mechanisms to support and maintain improved WASH practices in schools were also found. Toxic waste is an under-recognised major global health burden comparable to outdoor air pollution and malaria, according to a study. The paper says that people’s exposure to industrial pollutants such as lead, asbestos and chromium from toxic waste sites in India, Indonesia, and the Philippines in 2010 resulted in the loss of 829,000 years of good health due to serious diseases or early death. Such a health burden, the researchers say, is comparable to that caused by outdoor air pollution and malaria — both serious problems in developing countries in Asia. The WHO estimates that people living in India, Indonesia and the Philippines lose a total 1.45 million healthy years per year because of outdoor air pollution and 725,000 healthy years due to malaria. The researchers sampled 373 sites in the three countries. They found that these sites endanger more than eight million people as their daily exposure to industrial pollutants puts them at risk of developing heart disease, cancer and anaemia. 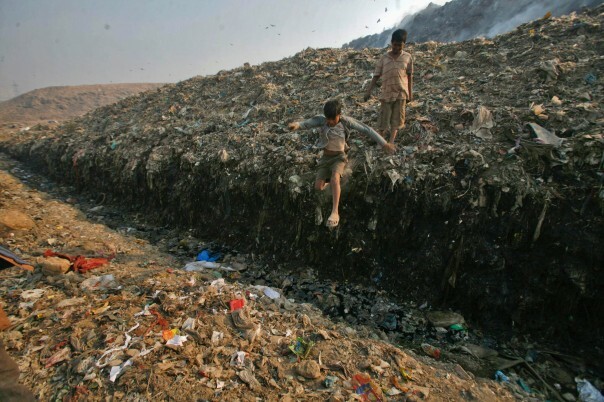 The toxic wastes mainly come from tanneries, mining firms and battery recycling plants. Equity of Access to WASH in Schools: A Comparative Study of Policy and Service Delivery in Kyrgyzstan, Malawi, the Philippines, Timor-Leste, Uganda and Uzbekistan. EXCERPTS: Understanding the mechanisms by which children are excluded from WASH in Schools is essential to ensuring adequate and equitable access for all school-aged children. inequitable access across regions, cultures, gender and communities. The researchers identified key dimensions of equity through formative investigations that included discussions with service delivery providers and policymakers. In some countries, inequity existed but was found to be linked to poverty and the prioritization of other health and development objectives, rather than a specific policy. In other cases, some dimensions could not be fully investigated, usually due to lack of data. Because it was not feasible to explore every equity dimension in each of the six countries, focus areas were prioritized for each case study. Some dimensions were found to be relevant across country contexts. Limited access to WASH in Schools compromised children’s health, educational attainment and well-being, and exacerbated already existing inequities and challenges in each of the countries. from comfortably practising proper hygiene. In this context, a lack of access to school WASH facilities is a potential cause of increased drop-out rates. Girls in Kyrgyzstan and Uzbekistan were affected by the poor maintenance of facilities and lack of privacy, rather than by overall lack of basic access. In these settings, lack of doors and private latrine stalls, coupled with proximity to boys’ latrines, led to girls avoiding the use of school WASH facilities, which may have deleterious health effects. Accessibility of WASH facilities for children with disabilities was identified as an issue in all countries. In Malawi and Uganda, concerted effort has been made to include school sanitation, water and hand-washing facilities appropriate for children with disabilities. The designs for facilities, however, were often found to inadequately address students’ needs, and hand-washing facilities remain largely inaccessible, compromising students’ health. June 9, 2011 – If consumers in the advanced Western economies have a hard time swallowing the idea of drinking water recycled from sewage, that may be nothing compared with what those in the Philippines have to go through when they consider eating foods raised from fertilizer recycled from human wastes. 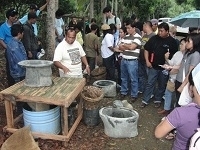 But that´s exactly what a local foundation based in the boondocks of Mindanao has been advocating, and is now actively looking for “technology off-takers” who are willing to partner with them to literally ´close the loop´ by recycling human wastes as fertilizers for agricultural use in food production. “There are more than 20 million Filipinos suffering the indignities and health hazards of not having access to proper sanitation,” said Dan Lapid, president/executive director of the Center for Advanced Philippine Studies. Water, Agroforestry, Nutrition and Development (WAND) Foundation, a local NGO that promotes social development via ecological sanitation (EcoSan), aims to close the gap in the country´s Millennium Development Goals (MDGs), particularly in the proportion of the population using an improved sanitation facility.